Sure you have seen X-Fi on Sound Cards, Portable Media Players, Speakers but X-Fi in a car? 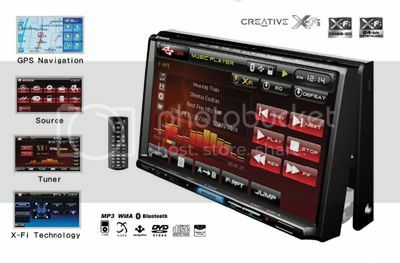 Marketed under the brand Runz by JC Hyun (a Korean company that specialises in Car A/V and navigation systems), the Creative Xtreme Fidelity technology is implemented in its CI-7100 Indash car stereo system. 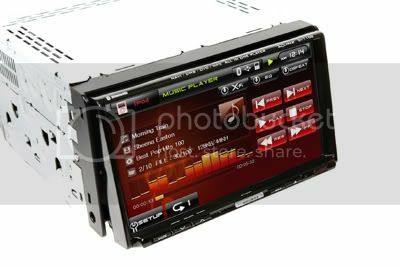 The CI-7100 has probably everything you need for entertainment in your car. It features a 7inch screen, with dedicated iPod control and bluetooth connectivity (which can be used to make calls on your handphone). You can play your DiVX and WMV movies on it via its SD/DVD/USB host, listen to MP3/WMA audio and even use it as a picture viewer. There's also a rear camera input and if multi-tasking isn't your thing, there's also a streeling wheel remote control for your safety and convenience. And if you can't navigate to save your life, the CI-7100 also has GPS navigation on board. Welcome to the X-fi universe. Sure, we must be hopeful a pmp will be released in 4Q 2008. Creative typically release something killer in this period.